What exactly is wine fermentation? 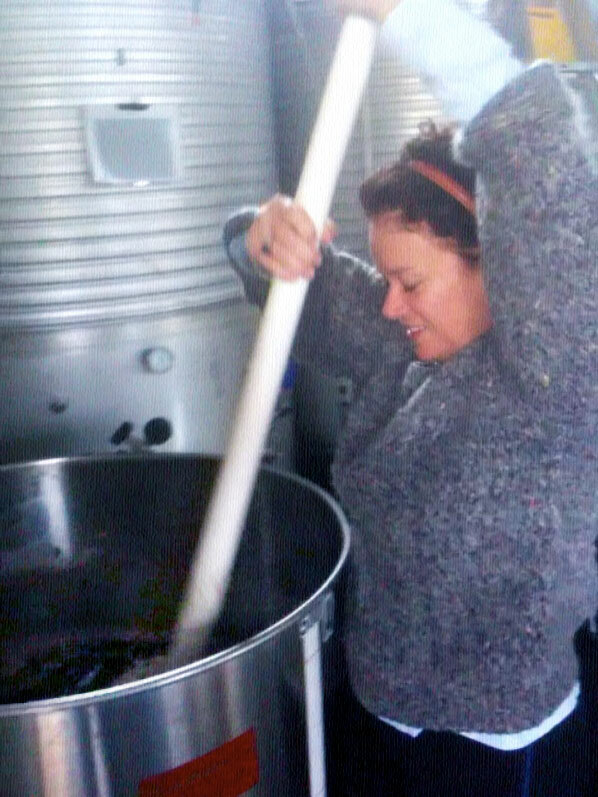 To help with wine fermentation, Violetta Neri is manually stirring her upcoming wine, currently titled 'V'. In smaller tanks such as this one here, manual agitation is needed to stimulate the fermentation process further. How does this chemical process work? It's pretty simple, really. Grape juice is loaded with natural sugars. When a strain of yeast is added to the grape juice, the yeast consumes the juice's sugars, converting them into alcohol (more specifically, ethanol/ethyl alcohol) and the chemical by-product of carbon dioxide. 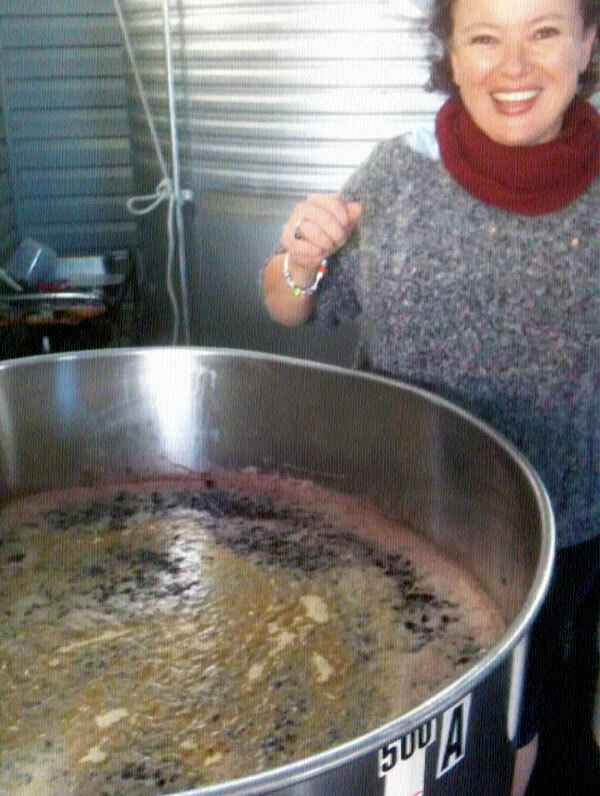 Fermentation is an extremely important process in wine making - in fact, without it, wine cannot be produced. This is when a vintner's expertise (both technical and aesthetic) really shines through. While fermentation is a natural process, it can be manipulated, delayed, paused, accelerated in many different ways - all of which will surely be reflected in the end result. The temperature and speed of fermentation can be controlled by the wine maker for the best effect, and other factors like the oxygen levels in the must/juice are also carefully monitored and considered. The fermentation process can happen in a stainless steel tank, as is most common today, or in a wine barrel or even individual bottle as the case may be. What guides a vintner's decisions during fermentation is very often tied to the tradition of wine making he or she embraces and follows. New Jersey Wineries › Wine FAQs › What is wine fermentation?